In response to student strikes opposing austerity, three professors—alongside the university, which acted as a co-complainant—put 25 students through a drawn-out process that first began with mediation and ended in daylong tribunals. The results of said tribunals: letters of reprimand, the consequences of which initially seemed benign. But according to a university bylaw, students who have received these letters become ineligible to sit on certain governing bodies—including the Board of Governors and the Senate. This presents complications for any recipients of the letters of reprimand who were just elected in the Concordia Student Union general election that took place last week. Both Lucinda Marshall-Kiparissis—the incoming CSU general coordinator and the probable undergrad representative on the Board of Governors—and Marion Miller—a Fine Arts senator elect—may be unable to fulfill all of their duties as a result of the bylaw. “This letter of reprimand, all its done is provide a very small bureaucratic hiccup in terms of sitting on Senate and Board of Governors,” Marshall-Kiparissis said. Both Marshall-Kiparissis and Miller understood the complications that were sure to arise as a result of the letters, but they ran for the positions anyway. 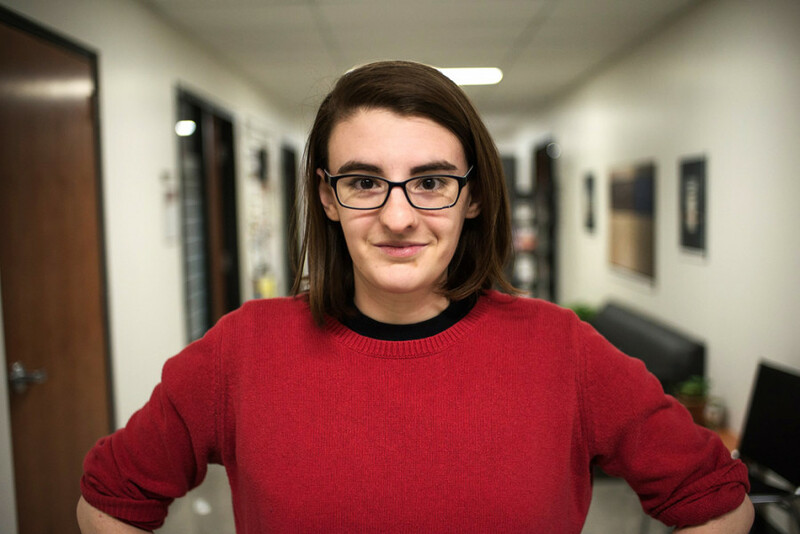 “I wanted to propose myself to the Fine Arts faculty as a candidate and let them decide through our union’s right to choose its representatives,” Miller said. Miller was voted in with 132 “yes” votes, and a mere two “no” votes. Marshall-Kiparissis won with 1023 “yes” votes, almost doubling the amount of votes her competitor got. If the sanction holds, she would request to remain as an observer on the Board of Governors. Usually the general coordinator—formerly known as the president—sits on the Board. The CSU voted in favour of a motion demanding the university change the bylaw restricting the students in question from serving on the Senate and Board of Governors. If a resolution is not reached, the first step would be to send an official letter of complaint, Miller said. If that does not work, the council mandated the CSU executive to take legal action. “We have a board mandate to pursue legal action if necessary, but it is premature to speculate on whether that is on the horizon or not,” said Terry Wilkings, the outgoing CSU General Coordinator. The student union is also arguing that the university bylaw runs contradictory to Quebec law on accredited student associations. University spokesperson Chris Mota insists though that the two laws do not conflict. The CSU has the right to nominate who they want to sit on governing-bodies, however, the nominees still must satisfy the criteria, which is set by the Governance and Ethics committee of the board, she said. According to research conducted by the CSU, Concordia has a high amount of requirements for students looking to serve on a governing-body. Based on their research, it is the only university that requires students to have absolutely no disciplinary sanctions against them to serve. “We’re feeling confident that the university will be able to adjust itself to the way it should be laid out in their criteria,” Miller said. Student Senators who are appointed under Article o) and p) may serve a maximum of three consecutive terms, following which one (1) year shall elapse before they become eligible for reappointment. Students elected to Senate shall be registered in an undergraduate or graduate program, be registered in a course or other for-credit activity, and be in good standing. Students who are in failed standing, in conditional standing or on academic probation or who have been sanctioned either under the Code of Rights and Responsibilities (Policy BD-3) or the Academic Code of Conduct within the three (3) years previous to their nomination are not eligible.are 16 spots reserved for student senators. An accredited students’ association or alliance may, alone, appoint students who, under an Act, regulation, by-law, charter or agreement, are called upon to sit or participate as student representatives on various councils, committees or other bodies in the institution. If several associations or students’ association alliances are accredited to represent the students of the various groups contemplated in section 2.1, the appointments shall be made upon agreement among those associations and alliances, or, failing an agreement, as determined by the institution reserved for student senators. The Board of Governors is the “senior governing body of the University and is responsible for establishing the legal and administrative framework for the University,” essentially making it the highest decision-making body at Concordia. There are three student governors out of a total 25. Senate is the second highest decision-making body at Concordia University. It’s the “senior academic body” that establishes procedures and is subject to the board’s authority. Out of 55 voting members, there are 16 spots reserved for student senators.